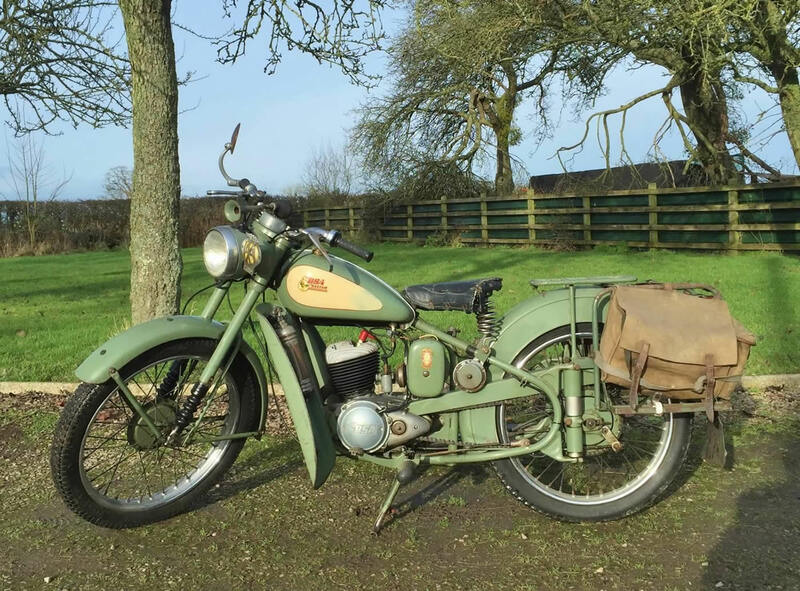 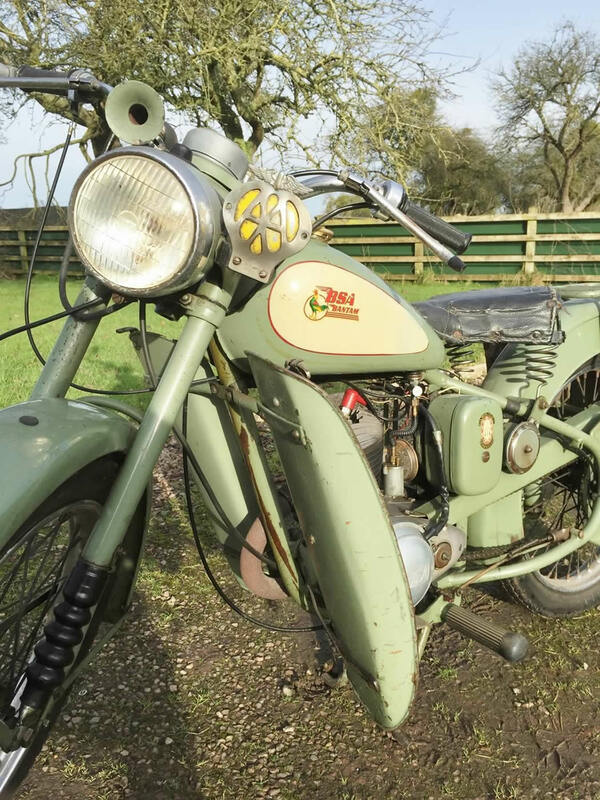 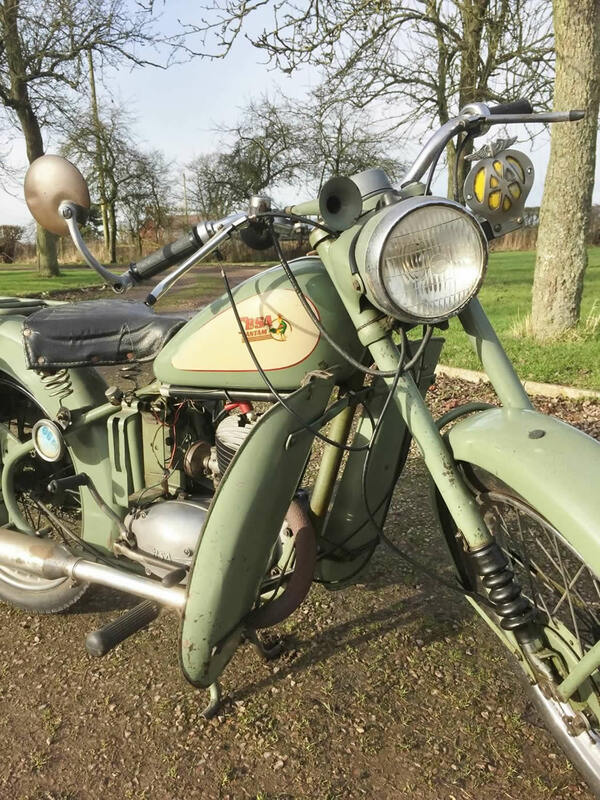 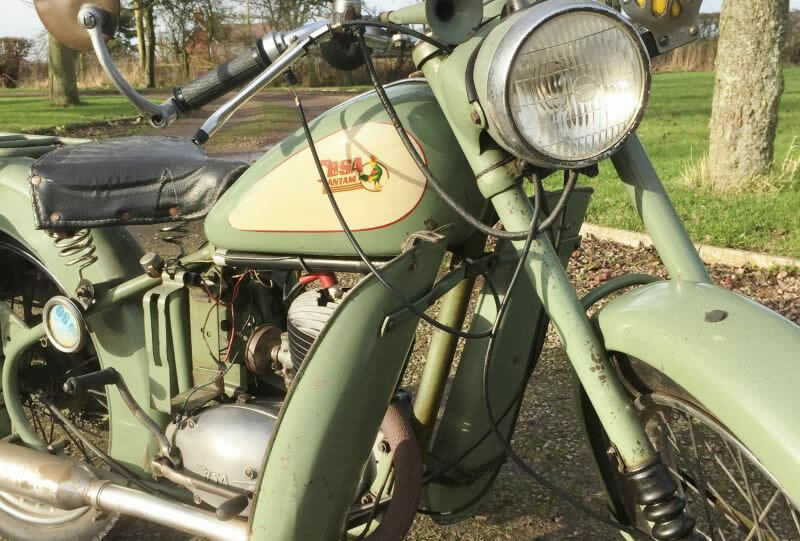 BSA BANTAM D1 1955 125cc, Looks to be in all original condition. 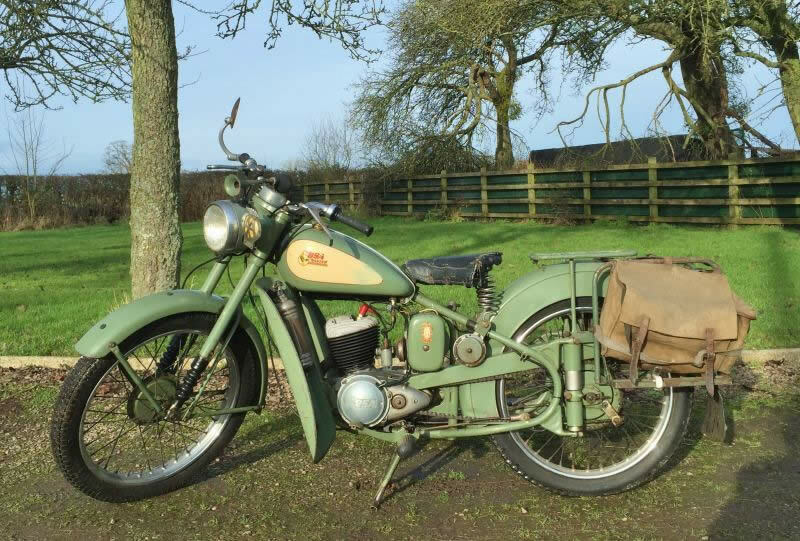 Rare with original leg shields, panniers, fire extinguisher and AA badge. 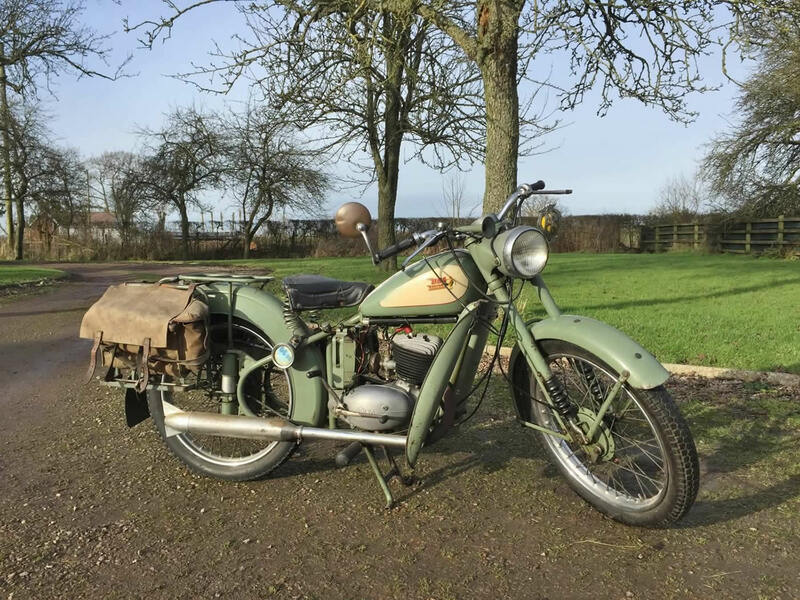 Runs and rides well. 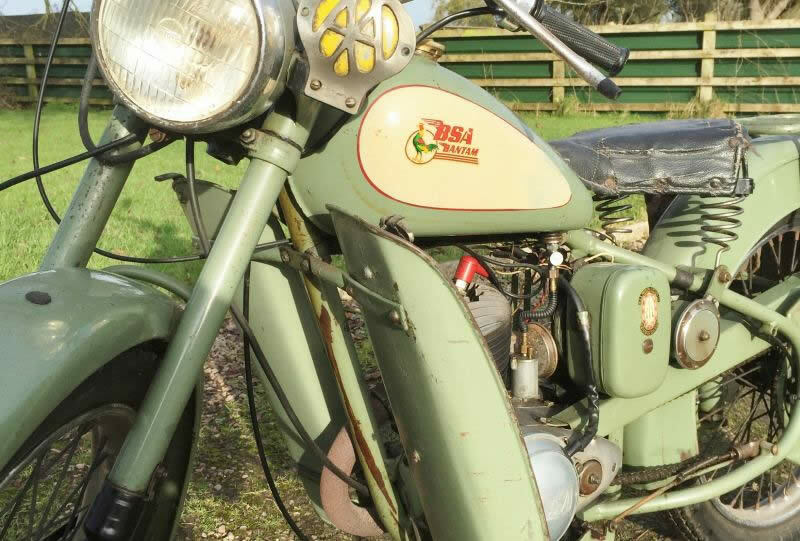 The inside of the tank is rusty so could do with cleaning out and pet sealing.Comes with old Log book, Old MOTs and a BSA Bantam work shop manual.